Consider updating to bearing protectors and cartridge seals. The demand to balance innovation and environmental sustainability with reliability and cost efficiency is a challenge for managers across all industries. Yet when it comes to selecting sealing solutions, these priorities can be seriously undermined—and pump reliability routinely compromised—by simple force of habit. 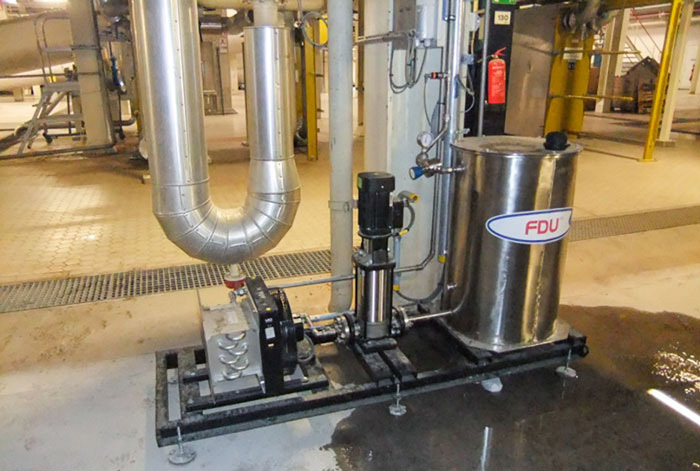 There have been significant advances in sealing technology in recent years that can reduce, and in some cases eliminate, the problems regularly faced by pump maintenance engineers, including leakage, shaft wear, bearings failure, and excessive energy and water use. These advanced designs have consistently demonstrated swift return on investment (ROI) and improved long-term reliability, while also helping companies comply with the International Organization for Standardization (ISO) -50001 standard for energy management systems and meet their own financial targets. Why do companies with an otherwise exemplary approach to operational, financial and environmental efficiencies persist in using outdated sealing solutions? The answer is as mundane as it is illogical. Some seals have been used for decades, and have been failing so regularly for so long that it seems to have become an accepted part of routine procedures by maintenance and repair personnel. The need to get operations back up and running as swiftly as possible following outages also means that turning to products already on the shelf can be the best option for a speedy solution. A common characteristic of “best in class” companies is their willingness to evaluate—and where necessary part company with—outdated practices and products, confident that their investment in upgrades will be recouped and operational efficiency improved. 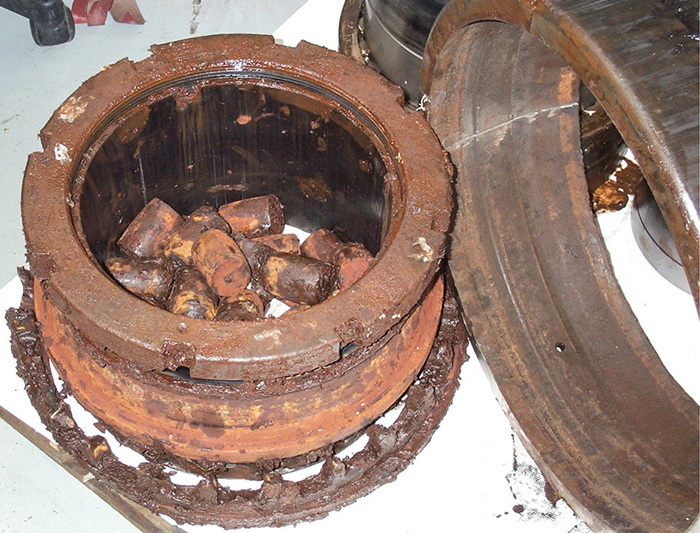 Bearings failure accounts for about 40 percent of all pump and rotating equipment breakdowns, so it makes sense to tackle the root cause. Surface contact with the rotating shaft means some seals can start to deteriorate and wear almost as soon as they are installed, leading to ingress of liquids or particles, bearing corrosion and breakdown. The cost of regular downtime to replace lip seals can be exacerbated if contact with the shaft also causes the seal or the shaft sleeve to become worn, requiring replacement. The cyclical expense of replacing lip seals, and in some cases pump shafts, can be eradicated by upgrading to modern, labyrinth-style bearing protector seals. These comprise drive O-rings to grip the shaft and shut-off O-rings that land on a smoothly contoured surface, sealing the oil chamber when a machine is stopped, protecting it from liquid or particle ingress, but allowing the air in the oil chamber to expand outward during operation. Image 2. Plant water lines protect seal faces from harmful sources. These shut-off O-rings are made from a highly resilient elastomer material that exhibits near-zero wear, further enhancing the life span of the seal. Additionally, bearing protector seals can be retrofitted onto the shaft and will require minimal maintenance throughout the natural lifespan of the bearings. The hermetic sealing they provide justifies investment in more effective synthetic lubricants and significantly improves operational efficiency. 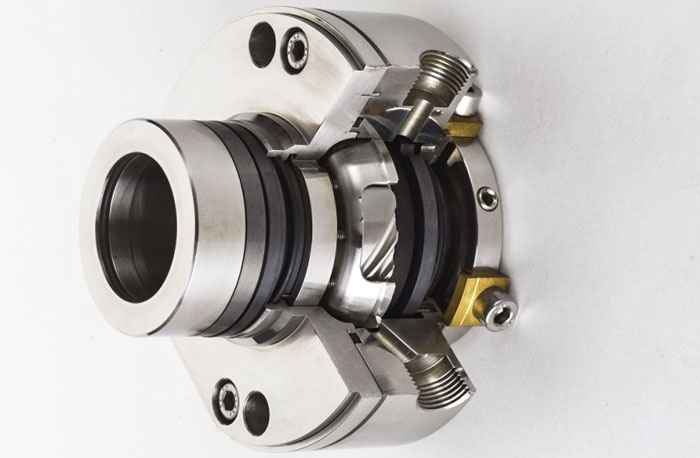 Cartridge seals, originally the preserve of petroleum, natural gas and chemical industries, are increasingly replacing component seals as the sealing solution of choice across other industries due to the huge gains they offer in terms of reliability and cost efficiency. They offer advantages from installation through repair and refurbishment to inventory management. Cartridge seals arrive at a plant as a preassembled, pressure-tested unit that is locked to the shaft at the end of the pump assembly. This design eliminates the risks of damaging seal faces during transportation or build, which are inherent in traditional installations, as well as removing the need to measure and set spring compression. That is no small matter when considering the negative impact on durability that an incorrectly set working length of a seal can have. Traditional seals are repaired on-site by in-house maintenance teams. With the associated time and training costs, cartridge seals can be boxed as a unit and sent for repair or rebuild by the manufacturer’s specialized team with a typical turnaround of just a few days. In best practice, the manufacturer will provide trending and tracking services to support reliability measurement and improvements. Perhaps the least obvious but most beneficial aspect of installing cartridge seals is in the opportunities they offer for streamlining inventory stewardship. Consider that a typical single component seal consists of at least six parts, and a dual seal has 10 parts. Some plants have hundreds of pumps, and the complexity of managing a seal inventory is evident. The accepted cost of inventory management is 5 to 20 percent of the inventory value annually, with most plants falling into the higher range. The number of part bins and their storage requirements alone can incur substantial costs before taking into account factors such as procurement tax and inventory count/stocktaking time, along with breakages, obsolescence and degradation of life-limited parts such as elastomers.